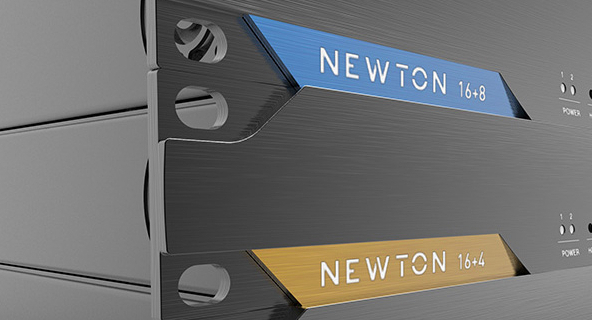 Newhank is a Dutch manufacturer that offers a range of AV electronics specifically to meet the needs of the AV integrator. 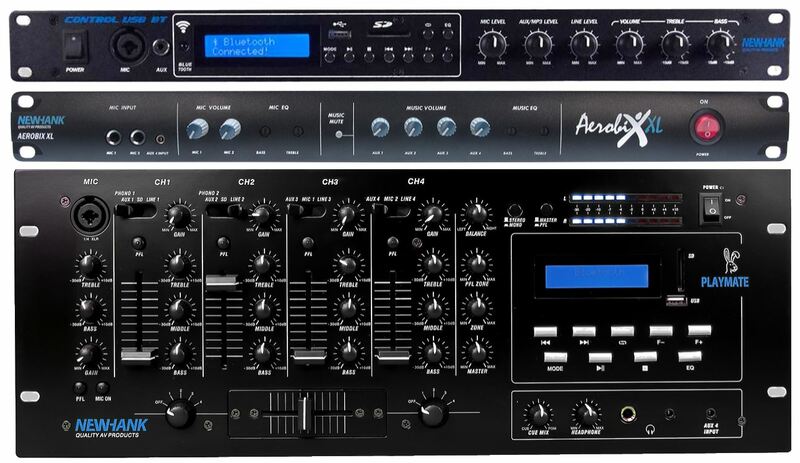 Most notable are the range of AV media players including rack mount Blu-ray disc players. 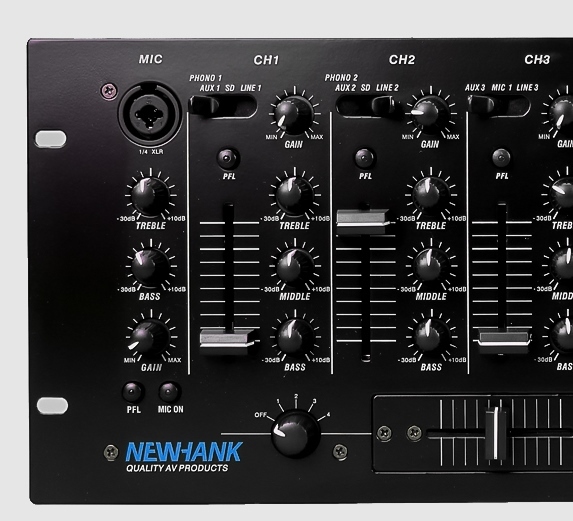 Newhank also offer a range of audio mixers with features that have made them extremely popular with bars and fitness centres. 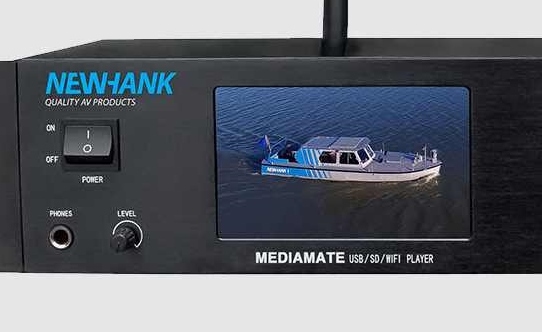 Newhank media players are designed specifically for professional installation. The 19" rack mount chassis allows for secure mounting in standard equipment racks. 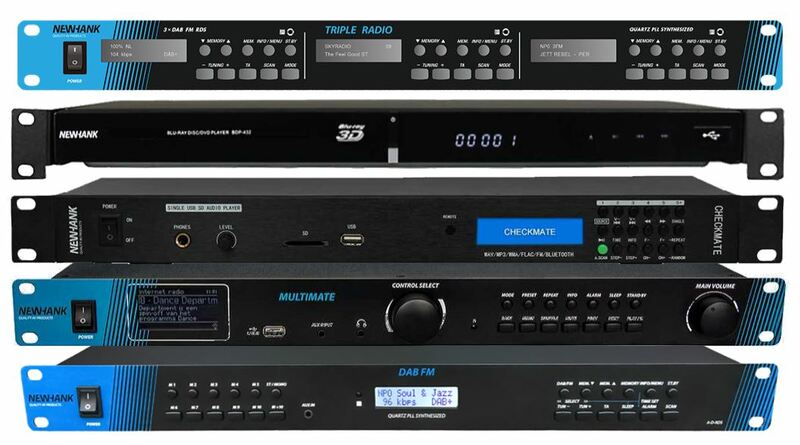 The BDP-432 RS Blu-ray player is equipped with a serial port to allow control from 3rd party control systems. Other solutions allow the playback from USB drives, SD cards and Bluetooth devices. FM and DAB radio receivers are also included in the range. Newhank produce a range of mixers specifically for the fixed installation market; all housed in industry standard 19" rack mount enclosures. The products are especially popular in fitness clubs and bars due to the easy to use hands-on interfaces. A number of models incorporate media players that allow direct playback of audio files from SD card, USB storage or Bluetooth devices. The INMATE USB incorporates a USB connection that allows playback and recording via a PC.